"God made the integers, all else is the work of man," Leopold Kronecker. Think of a number. Reverse its digits to form a second number. Now add the two together. Is the result a palindrome (reads the same forwards as backwards)? If not, reverse the digits of the new number and repeat the process. Continue with the reverse-add-repeat procedure until the result is a palindrome. Most numbers become palindromes very quickly, that is, in only a few iterations. Take 153 for example; it requires only two iterations. Some numbers, however, do not appear to produce palindromes no matter how many times the reverse-add-repeat procedure is carried out. 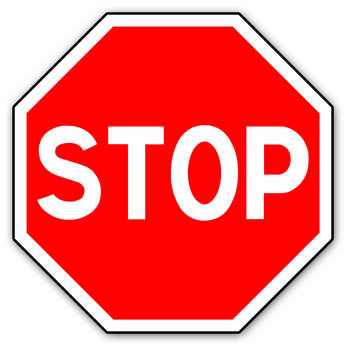 Numbers that don't produce palindromes are called Lychrel numbers. They were named so by Wade Van Landingham because "Lyrchel" was a rough anagram of his girlfriend Cheryl's name. We know that there are no single or double digit Lychrel numbers. The first number that may be a Lychrel number is 196. However, there is no proof that 196 and others like it, such as 879 and 1997, are actually Lychrel numbers. It is just that the reverse-add-repeat procedure has failed to produce any palindromes – and the procedure has been carried out to a billion iterations. What would happen if the difference between the two numbers were taken instead of their sum? This might sound like Kaprekar's operation, which is responsible for one of the most popular Plus articles of all time. However, Kaprekar's operation requires the digits of the number to be reordered so the largest value digit is placed first and so on down to the smallest digit last. The question here is: What happens if the digits are not reordered? Let's illustrate the procedure with 196. Any further iterations will only produce further zeroes. Note that that leading zeros do not count, e.g. 594 – 495 = 99 not 099. The number of digits does not have to be preserved throughout the procedure as it does in the Kaprekar operation. It is the actual numerical value that matters, as it does with Lychrel numbers. All one-, two- and three-digit numbers reduce to zero (you can see a proof here). The first number worth considering beyond those is 1012. 1012 is the first interesting number! Notice the difference in the third iteration (emboldened). It turns up again four lines later as the difference in the seventh iteration. Any further reversal and subtractions will simply repeat the preceding four lines. This appears to happen every time the reverse-subtract-repeat procedure is carried out: the numbers either converge to zero or end up going into a loop and repeat the same set of numbers over and over. I applied the reverse-subtract-repeat procedure to all numbers from one to 10 billion (1010) plus a sample of 10.1 billion 18-digit numbers. The results showed that none of the 20.1 billion numbers went on iterating for ever; the procedure always terminated with either zero or an end-loop. Whether this holds true for all numbers remains to be seen. Following Wade Van Landingham's example I have named the numbers that terminate in an end-loop Eriam numbers, after my wife Máire. The end-loop periods (after how many numbers the differences start repeating; four for 1012) were found to be of either 1 number (zero), 4, 12, 14, 17 or 44 numbers. The shorter periods occurred more frequently than the longer periods; nearly 94% of all numbers checked had end-loops with periods of one or four. Klaus Brockhaus checked a random selection of numbers up to 50 digits in length and found no period other than those given here. Perhaps other periods do exist, but have not been found yet. Further details on end-loop periods can be found online. The periods are given there as 2 and 22, instead of 4 and 44. This is because the absolute value of the differences is taken instead of the actual values. The other periods remain unchanged. The results further showed that exactly one-half of all numbers up to 1,516,730 have an end-loop consisting of just zero. Beyond 1,516,730 more than half of the numbers had end-loops with four or more numbers. The table below shows how many Eriam numbers there are for different numbers of digits. 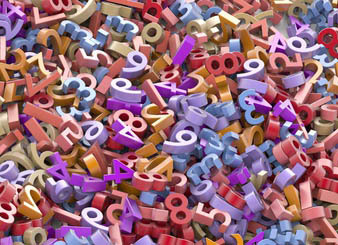 Among the four-digit numbers there are 637 Eriam numbers, which is just over 7% of all four-digit numbers. The table shows that as the number of digits in a number increases so does both the number and percentage of Eriam numbers. The table was generated by a computer program written to find and count the numbers. There are normally gaps in the number line between Eriam numbers, particularly among lower numbers, but occasionally there is a run of consecutive numbers, all of which are Eriam numbers. The first occurrence is the two-number sequence 10,012 and 10,013. There is a 17-number run between 200,004,984 and 200,005,000, but the longest run I found is the 25-number sequence, 3x1017 + 4979 to 3x1017 + 5003, i.e. 300,000,000,000,004,979 to 300,000,000,000,005,003. Longer runs might be expected among the higher numbers as the corresponding higher percentage means that the Eriam numbers occur more frequently, i.e. there is a greater density of them. The number of iterations taken to reach the start of the end-loop varies: 3201 begins its end-loop on the first iteration, while 1,000,509,057 requires 84 iterations. A palindrome reaches zero on its first iteration, of course, but a number such as 1,000,122,729 can take 107 iterations to reach zero. The numbers checked all terminated with an end-loop. Could this be true for all numbers? Most of the 20.1 billion numbers surveyed had end-loops consisting of four numbers and always of the form ±21…78 and ± 65…34, where the ellipses represent intervening digits. These intervening digits are usually nines, as in the end-loop of 87,968,465, but not always, as in the end-loop of 10,002,729. They end in concatenation of these numbers, i.e. 21,782,178 and 65,346,534. Some, like 1012 of course, have no intervening digits. The numbers that reduce to zero, likewise, ended in a limited set of numbers. The terminating palindrome (the last number before the zero) for most of them was 9…9 (although for small numbers it was a single nine). The digits between the two end nines, when there were any, were either zeros, nines or both. The terminating palindrome for 82,427 is 9999, while for 82,432 it is 9009. The exception is 54…45. The terminating palindrome of 1166, for example, is 5445 and that of 180,004 is 549,945. It would seem that adding a number to its reverse repeatedly is like sending a ball skywards; there's no limit to how far it can go. Subtracting the numbers is like dropping the ball: it goes only so far until it hits the ground and either stops or starts bouncing up and down. 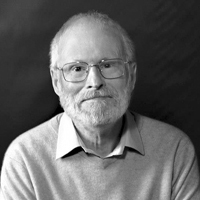 Michael P. Greaney is a writer with particular interests in astronomy and mathematics. He has written articles for a number of astronomical magazines and was a contributing author to the book Observing and Measuring Visual Double Stars (Springer, 2012). I tried iterated reverse and subtraction on those numbers in the first two tables. For example 196-691=-495-594=-1089-9801=-10890-9801=-20691-19602=-40293-39204=-79497. You also get this palindrome from doing the same to 1012. 1012 is an example of a monodrome. A palindrome is when the difference between the outer and successive inner pairs of digits is 0. In a monodrome it's 1. An interesting pandigital monodrome is 8642013579. I'm also interested in emergent numerical behaviour when you get into the negative side of Fibonacci style sequences, particularly ones with recurrences a(n) = a(n-1)+a(n-m) where m>2. There they swing wildly (so kind of bounce) from positive to negative values like a chaotic pendulum. Could you point me to any literature? I can't help you with any literature, but I was intrigued by your observation that the repeated subtraction of a number from the absolute value of its reverse produced a palindrome. I wrote a computer program to explore this and found that all numbers up to 10,002 become palindromes. 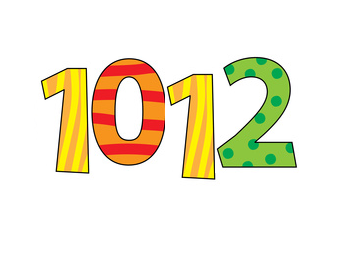 The first number that doesn't result in a palindrome is 10,003. By not producing a palindrome I mean that doesn't produce one by the time the difference reaches a certain value, 9,223,372,036,854,775,807 in my case. using the difference as the new number. The program repeated the calculation until the difference either became a palindrome or reached 9,223,372,036,854,775,807. A palindrome might result if this number were larger, but it might not. It's very much like Lychrel numbers in that regard. Thanks for exploring this question. I'd be very interested to see some edited highlights or examples of the palindromes you did in fact reach and for which numbers, especially the biggest, and if it was anything like that figure of 9,223,372,036,854,775,807. If all the palindromes you found up to 10002 were small in comparison, then it would make 10003 sound like a promising subtractive Lychrel candidate. (I wish I knew how to do this kind of thing myself).